Things are not always what they seem. Political chess is in evidence all over the world. A politician may make a move to draw out an opponent, draw them into the open where they are more vulnerable. Putin recently gave the order to his military operating in Syria and Iraq, during the battle against ISIS, to pull back. Of course, a ceasefire is in place, approved by all parties except ISIS and other minor terror groups. Turkey had not abided by the ceasefire, continuing to attack the Kurds, though official Turkey is in agreement with the ceasefire. There are other issues too, with Russia backing Assad and the US backing rebels trying to unseat Assad. Per the Zetas, Putin’s withdrawal orders are a ploy, allowing the factions to sort this out among themselves. Also leaving a void for Turkey to misbehave so they can rush in and push back against Turkey. Putin has made one of his Knights vulnerable. Will Turkey move to take this Knight, not seeing that a trap has been laid? Analysis: Russian Withdrawal from Syria could Prompt Peace Deal with U.S. The Russians are mainly doing this to force Assad to make concessions in negotiations. Putin apparently decided not to keep his military in place to deal a final blow to Assad's opposition, which could take time and would be very costly at a time when the Russian economy is in recession because of falling prices for its huge oil exports. Rather, his goal is to preserve the security elements of Assad’s regime, but not Assad himself. The announced partial withdrawal from Syria does not mean Russia is backing away from fighting Islamic State, but rather marks a turning point in the process of stabilizing Syria. Russia’s participation in the Syrian conflict was never intended to be a permanent thing. It gives, however, a de-facto recognition of partition of Syria. It does secure the Western portion for Assad. Northern part goes for the Kurds. Withdrawal of Russian troops from Syria was a good tactical move in terms of trying to get the peace process underway. 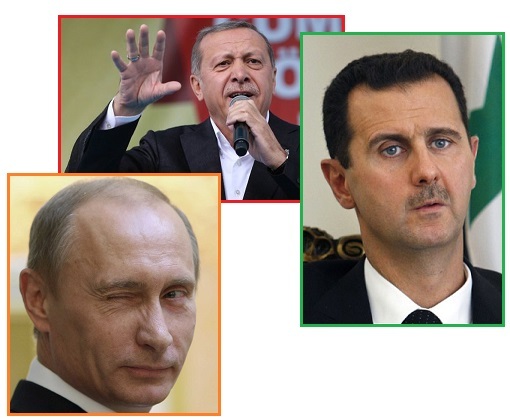 If…Turkey and Saudi Arabia are going to take advantage of that withdrawal or want oust Assad, then all bets are off. ZetaTalk Insight 3/19/2016: Why is Putin suddenly pulling back some of his forces from Syria? It is, after all, the cease fire, with all parties on board re this though Turkey is breaking the rules and attacking the Kurds. There is no timeline announced by Putin, and thus it is a safe maneuver that accomplishes several things. It is a broad announcement that Russia has not invaded Syria, nor does Russia have plans to keep this region as a satellite of Russia. It forces several other parties, friend and foe alike, to settle their political differences without Russia as big daddy keeping order. And by stepping back, or appearing to do so, both Turkey and the Saudi’s are encouraged to misbehave, thus providing Russia with an excuse when they sweep back in to return the region to its cease-fire baseline. Turkey will certainly attack the Kurds aggressively, and in doing so will provide the excuse to push Turkey back out of Kurdistan, thus providing the Kurds with their own homeland. Those who want Assad to step down, hold elections, will likewise have their opportunity, as will Assad who will not have Russia at his back. The fight against ISIS will not slack off, and the plan to return Syrian refugees will pick up steam. Turkey’s Erdogan has been accused of trying to reinstitute the Ottoman Empire, grab land such as Greece and parts of Europe. Thus, Turkey was allowing a massive flood of refugees to flow into Europe, to destabilize Europe. Thus, Turkey was supporting ISIS, Erdogan’s son brokering oil for ISIS. Meanwhile, as a member of NATO, Erdogan was posturing to be a team member. Germany’s Merkel has been accused of trying to placate Erdogan, by taking in refugees despite the risks of terrorists among them. Now there has been a backlash against Merkel, who lost in the last elections and may ultimately lose her leadership position. 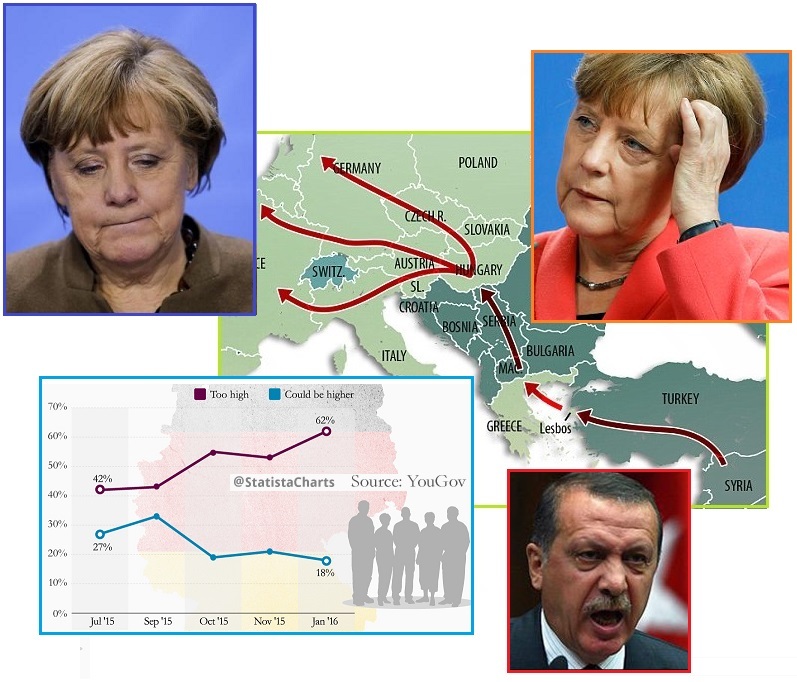 Erdogan risked his Queen, in his rush to invade and destabilize Europe. Now his Queen may be taken. German Chancellor Angela Merkel suffered one of her largest political setbacks at the weekend after her Christian Democratic Union (CDU) party saw sharp losses in regional elections with many conservative voters punishing Merkel for her refugee policy. The results have been seen as a damning indictment of Merkel's open-door migrant policy which has allowed more than an estimated 1 million refugees and migrants to enter Germany in 2015. The Zetas have stated that Trump is not what he seems. Per the Zetas Trump is working with the Puppet Master to prevent both the Bush and Clinton families from securing the White House in 2016. Trump targeted Jeb! and this is now a man down, and has now turned his focus to the wounded Hillary Clinton, who is likely to be indicted soon. Trump and his backer, the Puppet Master, are both very savvy and masters at capturing the spotlight. The media loves a good fight! 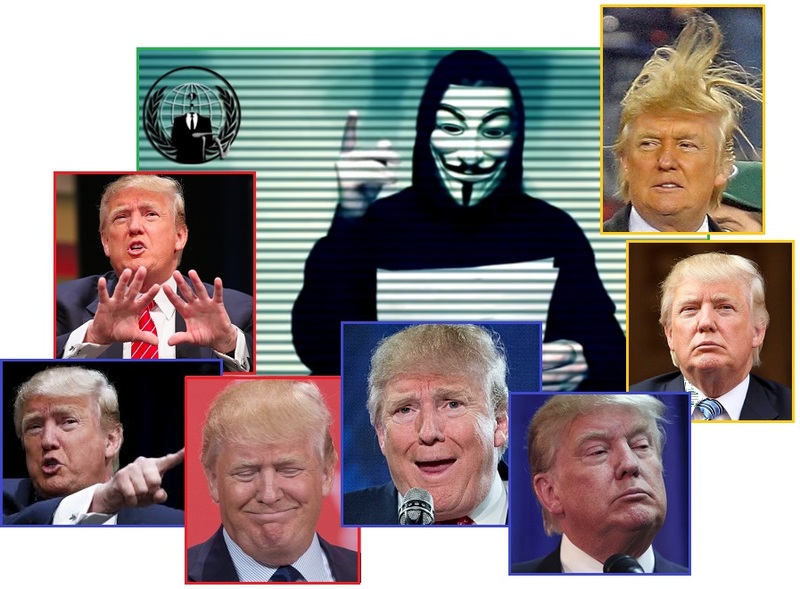 Enter Anonymous, another group working behind the scenes with the Council of Worlds, the Puppet Master, and Trump! This chess move is not what it seems! Per the Zetas, Anonymous and Trump are hardly enemies, but working on the same team. The King's Pawns are being threatened by an intruder, but the King is safe. Dear Donald Trump, we have been watching you for a long time and what we see is deeply disturbing. You have shocked the entire planet with your appalling actions and ideals. This is a call to arms. We need you to shut down his websites, research and expose what he doesn’t want the public to know. We need you to dismantle his campaign and sabotage his brand. This is not a warning, this is a declaration of total war. Donald Trump – it is too late to expect us. ZetaTalk Insight 3/19/2016: When we described Trump’s campaign last August we described Trump as a covert operative, not a serious candidate. His role, his job, was to prevent both the Bush and Clinton families from attaining the White House. He focused first on Jeb! and threatened to sue Cruz re his citizenship, and ridiculed the puppet Marco out of the race. Because the announcement admitting Nibiru is dragging on, it now appears that Trump may in fact be the GOP nominee, and as we predicted Trump would play that role too. Now, for Hillary, who will indeed be indicted along with most of her staff and with the Clinton Foundation. Long before this time Trump will be laying out Hillary’s past, lies, and crimes daily in the media. When the indictment occurs, the Democrats will be casting about and will either go with Sanders or recruit Biden, even if Hillary has already been declared the nominee. Trump will allow himself to be beaten, as he never intended to be President, frankly preferring the developer role to endless negotiations that politics requires. Anonymous and Trump are working for the same team! The apparent battle just to provide more media fodder. And per Ben Fulford, who is privy to information from many sources, there is an even larger battle behind the scenes. Fulford is primarily focused on financial battles, banking empires which can foment wars. 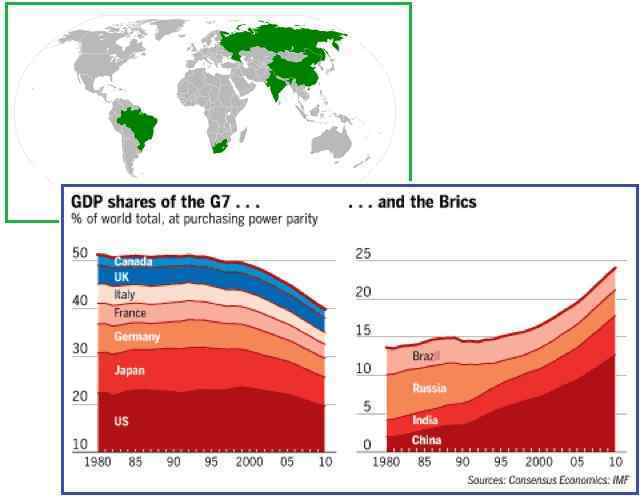 The battle lines are drawn between the financial interests of the International Monetary Fund/World Bank of the west (the US, Europe, and Israel) and BRICS (Russia, China, Brazil, Iran). The theft of gold from Fort Knox in the past is also an issue, as per Fulford both the Bush and Clinton families were complicit in this. The White House is a prize like none other, in that the US military is as large as all others around the world combined. Thus, blocking Hillary Clinton is no small matter. The attack has been led by two Castles, a Bush and a Clinton, but one by one these Castles are collapsing, imploding, and crumbing. Biden also told Netanyahu to keep the Israeli lobby out of the US presidential election, the sources say. The military [DIA], FBI and agency rank and file are determined not to let any Khazarian mafia stooge like Hillary Clinton be elected as president this time. The Pentagon sources are saying the election is likely to be one between Donald Trump and Vice-President Biden. Biden is biding his time and waiting to step in after Hillary Clinton is indicted, pentagon and agency sources say. On that front the, “military is involved with a secret grand jury that may have gone rogue against those trying to stop the investigation of Hillary,” one of the sources says. ZetaTalk Insight 3/26/2016: As with the supposed battle between Trump and Anonymous, things are not always what they seem. What is clear is that there is a battle behind the scenes between those who want Hillary to secure the White House and those who do not. This has nothing to do with political leanings, as if Jeb Bush had prevailed, the push might be for he to succeed. As we explained, the theft of gold from Fort Knox, the permissive attitude toward Wall Street crimes, and the rise of Trump during the 2016 elections is all intertwined. 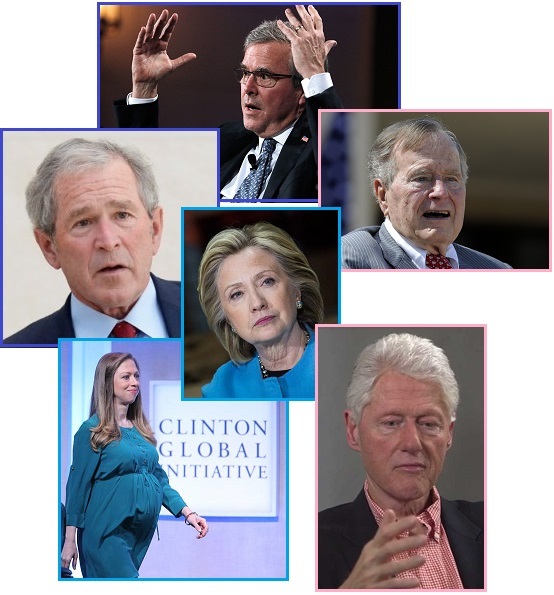 One side, including the Bush/Clinton families, is pro Israel, pro Wall Street, pro using the US military to secure Middle East oil for these elite families, and very, very anti-Trump. Trump and the Puppet Master, along with the secret societies that Ben Fulford is working with, are on the other side. The fact that the US Federal Reserve was freed from the control of powerful Jewish bankers shows which side is winning. Meanwhile, the media is being pulled in all directions. During the early days of Hillary’s Emailgate the public had been privy to various anonymous leaks from FBI sources. 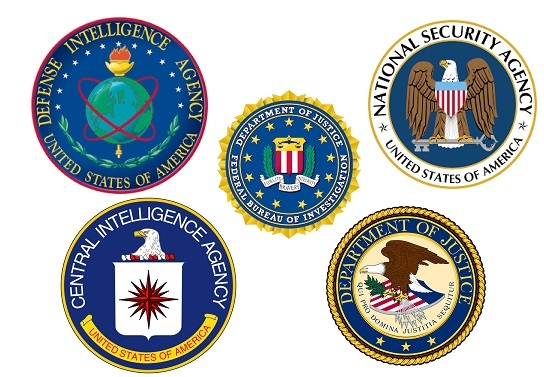 But now despite vigorous denials from the Clinton crowd, the investigation seems to have expanded to include prosecution by the Department of Defense, armed with evidence of violations against the CIA and NSA secrets. The DOD, after all, can call a Grand Jury and hold trials! The DOJ is not the only prosecution arm of the federal government. The remaining Clinton Castle is crumbling, under relentless attack by the opposition’s Bishops. Fox News Senior Judicial Analyst Andrew Napolitano explained in a Fox Business panel discussion last week that the granting of immunity against self-incrimination to Bryan Pagliano, who helped set up the private email server for Clinton that is central to an ongoing investigation by the Federal Bureau of Investigation (FBI), means the Department of Justice intends to secure indictment of a person or people up the “totem pole” from Pagliano in the Hillary Clinton email scandal. First, notes Napolitano, “only a federal judge can grant immunity.” Napolitano further explains that a federal judge will only grant such immunity for a witness “the government needs to testify before some proceeding,” which Napolitano notes in this instance would be a grand jury proceeding. ZetaTalk Insight 3/26/2016: When powerful interest groups are ascendant, they use threats and bribery as inducements. Those in the public or the media who want access to power, want their requests granted, or want jobs and contracts are unwilling to offend the ascendant who might be in power in the White House in the future. Where former federal prosecutors and judges list the statutes that Hillary herself has broken, and Fox News reports this, CNN is agast that Jose Ramos even posed the question to Hillary about a possible indictment. Clearly an FBI investigation and immunity for her IT guy are clues that this is not all about sorting out paperwork. Meanwhile, the indictment of Hillary marches on. Ben Fulford, who has a very high accuracy track record, has pointed to DIA as well as FBI and CIA and DOJ involvement in her indictment. This is confirmed by other insiders reporting in the press. The DOD as well as the DOJ has prosecutors, and can empanel a Grand Jury. The game is on, and is not leaning in Hillary’s favor! Signs of weakness in the Hillary Clinton campaign are evident, despite her huge advantage in the polls and among Super Delegates. The Clinton crowd is trying to assert, incorrectly, that Obama has endorsed her and wants Sanders to blow out. Left without protection, the crumbling Clinton Castle is blowing dust in the wind. In unusually candid remarks, President Obama privately told a group of Democratic donors that Senator Bernie Sanders of Vermont was nearing the point at which his campaign against Hillary Clinton would end, and that the party must soon come together to back her. Mr. Obama made the remarks after reporters had left a fund-raising event in Austin, Tex., for the Democratic National Committee. The comments were described by three people in the room for the event, all of whom were granted anonymity to describe a candid moment with the president. The comments were later confirmed by a White House official. Mr. Obama chose his words carefully, and did not explicitly call on Mr. Sanders to quit the race, according to those in the room. Still, those in attendance said in interviews that they took his comments as a signal to Mr. Sanders that perpetuating his campaign, which is now an uphill climb, could only help the Republicans recapture the White House. The Austin event was hosted by Kirk Rudy, a real estate executive, and raised money for the Democratic National Committee. Attendees paid as much as $33,400 a ticket. Mr. Obama, according to the Times' sources in attendance at the fundraiser, stopped short of calling for Sanders to drop out of the race. He said he was not endorsing either candidate and that both would make good presidents. White House press secretary Josh Earnest was asked whether the president had effectively endorsed Clinton at the fundraiser. Earnest told reporters "Our success in November in electing a Democratic president will depend on the commitment and ability of the Democratic party to come together behind our nominee. And the president did not indicate or specify a preference in the race." ZetaTalk Insight 3/26/2016: So what to make of this latest report by DNC insiders, who paraphrase Obama’s off the record words after reporters had left the room, as being so pro-Hillary that it was an essential endorsement. Says who? The DNC insiders? Debby Wasserman-Schultz has already broken several rules to fund Hillary and tried to deny Sanders access to the donor database. Josh Earnest, the White House spokesperson, has already been caught having to retract his statements that the investigation is “not trending” toward an indictment of Hillary. Did Obama indicate that the Democrats should rally behind Hillary, as the front runner? No. Has he made positive statements about Hillary in the past? Yes, as he would of anyone whom he had given a position of authority. To do otherwise would cast doubt on his own judgement. 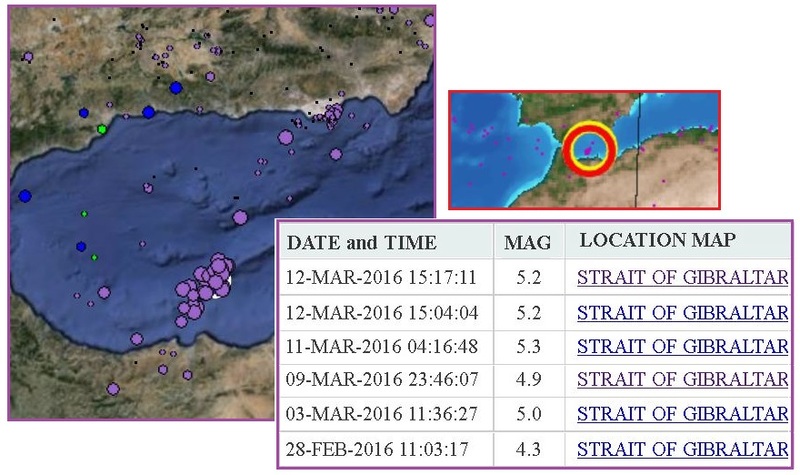 Quake swarms at the Straits of Gibraltar show the intensity of the African Roll, which is tearing apart the straits. The quakes appear to be hammering at one particular point along the plate borders, a resistant point where the rock fingers grip each other. 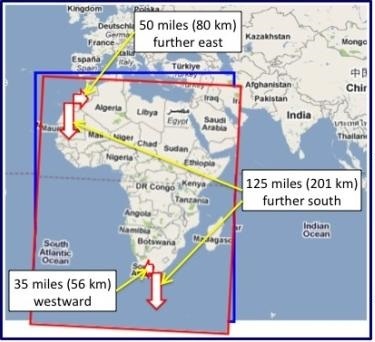 Per the Zetas, the Africa Roll, now in process, will ultimately result in an increased distance of 125 miles between Spain and Africa.